Refined. Elegant. One of a kind. Our Amish Richland Dining Room Table is rich in form and function. Slender, curvy tapered legs support an exquisitely scalloped top that calls for special dinners and gatherings. This Amish made dining table is formal furniture at its finest. Luxurious and orderly, this formal dining table is a perfect balance or elegance and comfort. 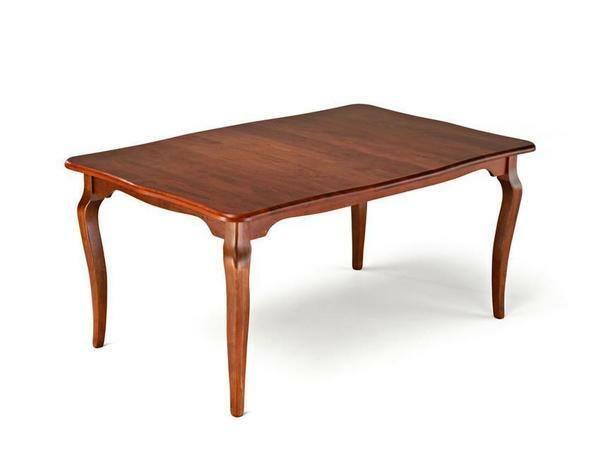 Put forward the ultimate in dining room furniture with our Richland Dining Table. We involve you in the process of customizing your table to ensure your creation is one of a kind. Invest in a dining table that is built upon the principles of strength, durability, and beauty. Enjoy more of our formal furniture offerings here.